The leatherette range offers better gripping comfort. 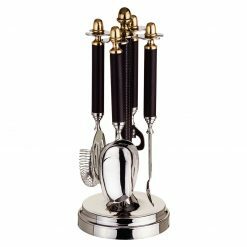 Sanjeev Kapoor offers practical and beautiful Bar tool for your home bar ensemble. Sanjeev Kapoor bar tool is a must-have for any home bar ensemble. Our collection is an excellent demonstration of the beautification of the bar tool. 100% food grade stainless steel bar tool. Sanjeev Kapoor offers practical and beautiful ice bowl for your home bar. Sanjeev Kapoor ice bowl is a must-have for any home bar. Our collection is an excellent demonstration of the beautification of ice bowl. A must-have in your home bar ensemble. 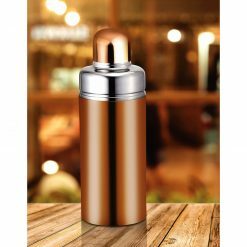 This magnificent premium stainless steel cocktail shaker from chef Sanjeev Kapoor’s Premium Lifestyle Metallic Tableware Collection will definitely enhance your barware collection! It’s an impressive barware which has an elegant rose gold finish that will leave your beloved guests in admiration! 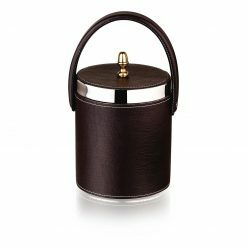 This gorgeous bar accessory is made at par with the global standards to maintain quality and aesthetic appeal, and hence is crafted in food grade stainless steel material which is safe for usage The refined cylindrical shape of this barware can hold up to 500 ML and its specific make will keep the inside temperature low that will keep your spirits as per your spirit. 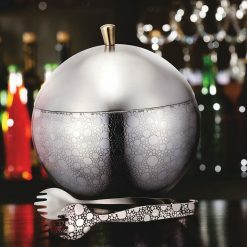 Sanjeev Kapoor offers practical and beautiful cocktail shaker for home bar ensemble. 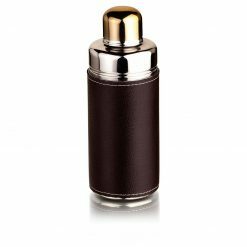 Sanjeev Kapoor cocktail shaker is a must-have for any Home Bar . Our collection is an excellent demonstration of the beautification of the cocktail shaker. 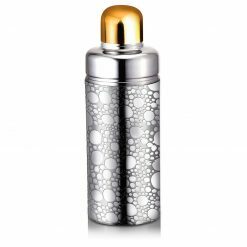 , 100% food grade stainless steel cocktail shaker. This magnificent premium stainless steel cocktail shaker from chef Sanjeev Kapoor’s Premium Lifestyle Metallic Tableware Collection will definitely enhance your barware collection! 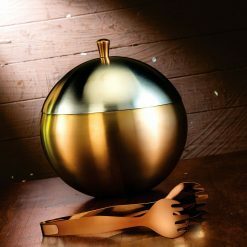 It’s an impressive barware which has an elegant rose gold finish that will leave your beloved guests in admiration! The refined cylindrical shape of this barware can hold up to 500 ML and its specific make will keep the inside temperature low that will keep your spirits as per your spirit.